I’m a big believer in using technology with language learners, and believe that it is a huge teaching and learning asset. My own experience, and a lot of research, bears that out and I’ve compiled it in The Best Places To Find Research On Technology & Language Teaching/Learning. I’m not convinced that value-added (I hate that phrase because of its connection to teacher evaluation) benefit holds equally true with mainstream K-12 students, but I’m open to learning that it is. I hope readers will contribute more links. Technology In Schools: What The Research Says is from Cisco. Maine’s Laptop Initiative Improves Student Writing is from The National Writing Project. Damien Murtagh recommends the Digital Education Research Network (DERN). David Gilmour suggests Educational Research and Innovation: Are the New Millennium Learners Making the Grade? : Technology Use and Educational Performance in PISA 2006. The New York Times has published a major article on technology use in schools titled In Classroom of Future, Stagnant Scores. Leonie Haimson suggests Evaluation of Evidence-Based Practices in Online Learning: A Meta-Analysis and Review of Online Learning Studies. Inflating the Software Report Card appeared in The New York Times. Deconstructing “What Works” in Education Technology is from the Mind Shift blog and offers useful commentary on recent research on technology in education. Mixed results using iPads reviews a study evaluating tech’s impact on student achievement. Plugged into learning: Computers help students advance is from Eureka Alert. The Tech-Driven Classroom Is Here, But Grades Are Mixed is from Forbes. The Relationship Status of Teachers and Educational Technology: It’s Complicated by Roxanna Elden is hands-down the wittiest, and certainly one of the most insightful, pieces I’ve read about the use of ed tech. It’s not about research, but it’s essential reading. Do smart devices make smart kids? is from The BBC. Mixed grades for Peru’s kids laptop program is from USA Today. What’s Worth Investing In? How to Decide What Technology You Need is from The Mind/Shift blog. Maine’s Decade-Old School Laptop Program Wins Qualified Praise is from The Huffington Post. Technology Integration Research Review is from Edutopia. Studies of iPad Use in Education is from Richard Byrne. Study Gauges Value of Technology in Schools is from The New York Times. So, do iPads really improve student learning? is from Plugged-In Pedagogy. What’s The Evidence on School Devices and Software Improving Student Learning? is by Larry Cuban. iPads In Special Ed: What Does The Research Say? is from NPR. Educational technology isn’t leveling the playing field is from The Hechinger Report. 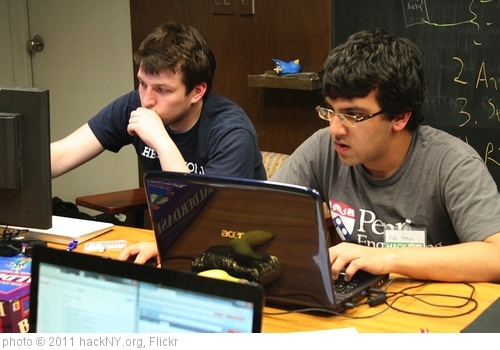 Report: Technology benefits at-risk students is from Ed Source. Digital tools in K-12 classrooms and student achievement: Weighing the evidence is from The Shorenstein Center. Is Digital Learning More Cost-Effective? Maybe Not is from NPR. Computers in the classroom are a no-brainer, right? Not so fast. is from The Washington Post. What Makes Educational Technology Programs Work? is by Robert Slavin. Quote Of The Day: The Ed Tech Hype? Sharing iPads Helps Kindergartners Learn is from The Pacific Standard. Why Ed Tech Is Not Transforming How Teachers Teach and How Teachers Use Ed Tech: 8 Research Studies You Need to Know are both from Ed Week. Here Again: The Old Chestnut about Technology Increasing Student Achievement is by Larry Cuban. Pupils learn poorly when using most computer programs is from Science Daily. Technology in Education: What Teachers Should Know is by By Pedro De Bruyckere, Paul A. Kirschner, Casper D. Hulshof. What does research really say about iPads in the classroom? is from eSchool News. What research says about classroom technology is from Smart Blogs. Students who use digital devices in class ‘perform worse in exams’ is from The Guardian. Why smart kids shouldn’t use laptops in class is a Washington Post report on a recent study that I’ve previously discussed. State-of-the-art education software often doesn’t help students learn more, study finds is from The Hechinger Report. Study: State-of-the-Art Education Software Often Doesn’t Help Students Learn More is from US News. The Bipolar Literature on Technology in U.S. Schools is by Larry Cuban. Did That Edtech Tool Really Cause That Growth? How to Watch Out For Faulty Efficacy Studies is from Ed Surge. Caution Flags For Tech In Classrooms is from NPR. Mathematica Policy Research has released a simple twelve-page guide titled Understanding Types of Evidence: A Guide for Educators. It’s specifically designed to help educators analyse claims made by ed tech companies but, as the report says itself, the guidance can be applied to any type of education research. Ed-Tech Research That Mattered in 2016 is from Ed Week. TECHNOLOGY AND EDUCATION:COMPUTERS, SOFTWARE, AND THE INTERNET is a recent research paper (Thanks to Carl Hendrick for the tip). Study Finds Classroom-Response ‘Clickers’ Can ‘Impede Conceptual Understanding’ is from Ed Surge. Do classroom clickers improve learning? It depends. is from The Hechinger Report. Do Laptops Help Learning? A Look At The Only Statewide School Laptop Program is from NPR. Three lessons from rigorous research on education technology is from The Hechinger Report. RESEARCH REVIEW: Impacts and Implementation of Blended Learning is an infographic from Mathematica. Effects of Technology in Mathematics on Achievement, Motivation, and Attitude: A Meta-Analysis is a new study. Publish or (the field will) perish: Blended learning needs more peer-reviewed publications is from Brookings. Web-based teaching can improve science understanding for struggling pupils is from Eureka Alert. Tech or no tech, effective learning is all about teaching is from Brookings. Rethinking Technology in Education is by Robert Slavin. Using digital technology to improve learning is a report from The Education Endowment Foundation. You might also want to explore the nearly 760 other “The Best…” lists I’ve compiled. Technology in the classroom is a tool, not a strategy. If the instructional practices in the classroom are not sound, technology isn’t going to fix it.